More baby sandals! Summer’s almost here, and baby also needs some lighter shoes to kick back and relax in. These flip-flops are easy, very attractive and very comfortable for those tiny feet. Make a set, make a bunch, we’re sure there are many mothers amongst your friends and family who’d adore these to bits. Don’t forget to share your work in our Facebook Group. The link to the pattern is below. Enjoy! 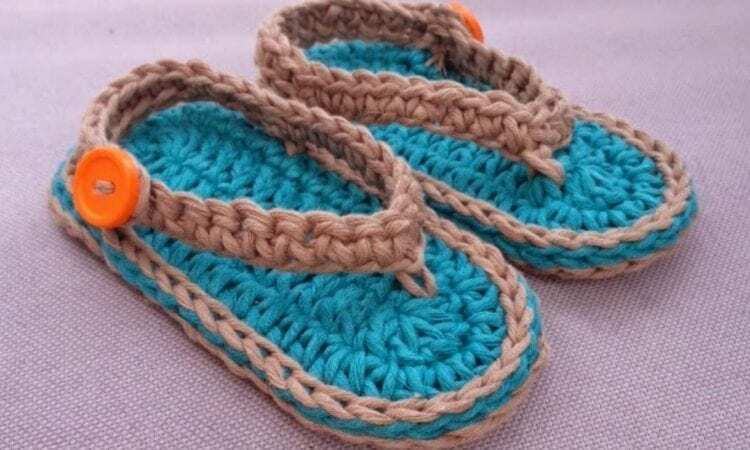 Chubby Baby Flip-Flop Sandals – visit the free pattern site. You can download free pattern also from Ravelry. I LOVE THE IDEAS AND FREE PATTERNS. THEY ARE ALL SO USEFULL. THANKS FOR THE SELECTIONS THAT YOU SHARE.